a friend and they'll get 50% off their lift ticket! ski season. Offer is valid for one pass holder, once per day. make some turns in the greatest snow we've had in seasons! $109 for adults! Or add a Mountain Biking Season Pass for $139! Click HERE to buy your season pass today! updates as we begin to break ground - so stay tuned for more details! currently on sale for as much as 30% - 50% OFF! OUR NEW INTERACTIVE TRAIL MAP! 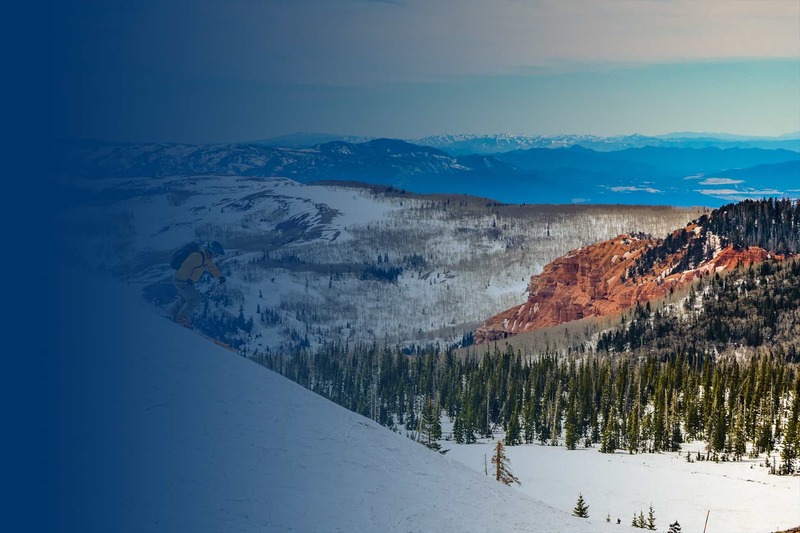 Brian Head Ski Resort offers The Greatest Snow on Earth®, with an annual snowfall of over 360 inches, and Utah’s highest base elevation. 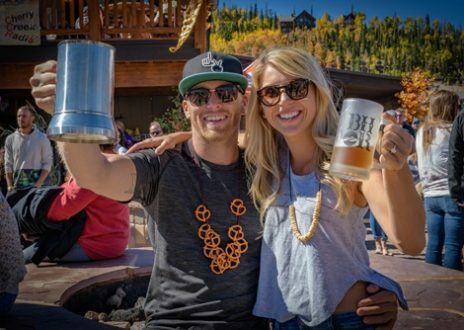 Covering over 650 acres, this Utah ski resort has two connected mountains, Giant Steps, and Navajo, offering 71 runs and 8 chair lifts for anyone who loves skiing or snowboarding in Utah. 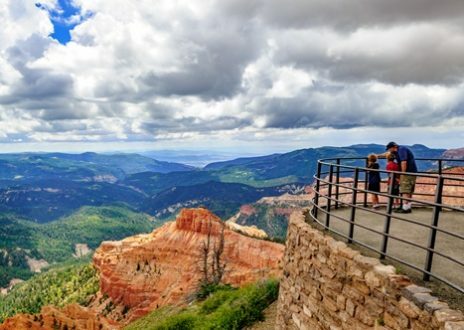 Highest in Utah - 9,600 ft.
Top of Giant Steps - 10,970 ft.
Lift-Served: 1,320 ft. / Hikeable: 1,548 ft.
71 Runs: 30% Easiest, 35% More Difficult, and 35% Most Difficult. We’re so excited about our summer improvements that we’ve lowered our prices for the rest of the season! 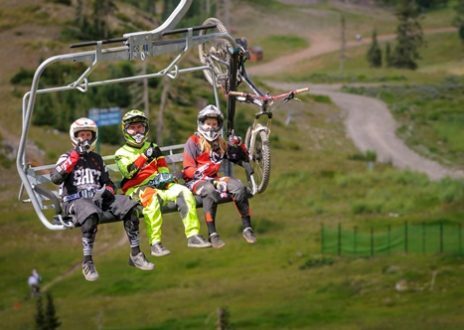 A full-day bike lift ticket is now only $35, and a half-day ticket is just $25. In addition to the new lower lift ticket prices, we’ve reduced the price of our three-hour mountain bike lessons to just $30. We are now offering complimentary guided mountain biking tours down our new Color Flow trail. Tours leave from the top of the Giant Steps Express chairlift at 10 a.m., 12 p.m. and 2 p.m. each day during normal operations. Get out of the heat! 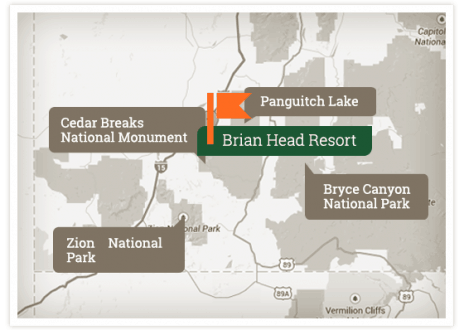 Spend the Summer with us at Brian Head Resort. We have fun Summer Activities that you can enjoy with an All-Day Activities Pass. 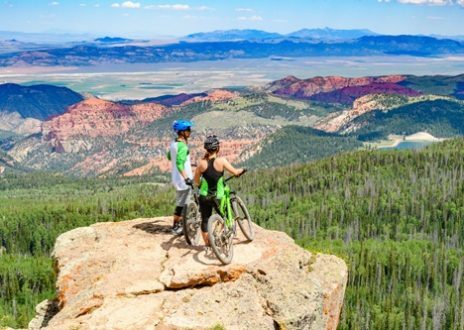 In addition, you can enjoy Mountain Biking (Bike Rentals available), Mountain Biking Lessons, Disc Golf, Archery, Hiking, and much more. Join us at our Events all summer with great food, drinks and live music. OPENING DAY IS FRIDAY, JUNE 21ST! Want to stay up to date with BHR summer events and happenings? Copyright © Brian Head Resort. All Rights Reserved.